Moderators are the backbone to any great stream. Tirelessly working for the love of the stream, this job deserves so much praise and all the tools possible to make it as easy as possible. 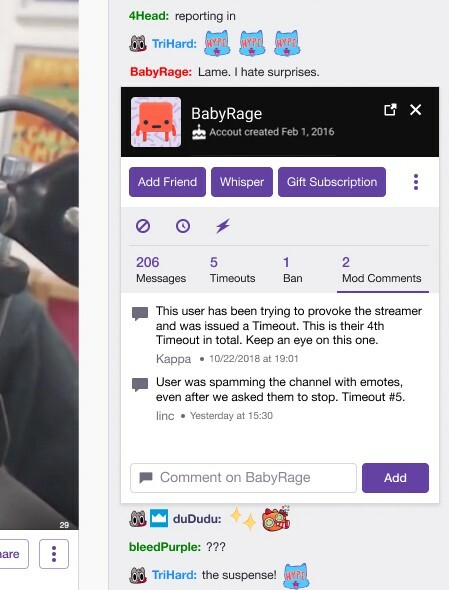 Twitch recognizes this and has released a handful of new features to make moderating a chat, even one going the speed of light, better. Comments made by other moderators so the staff can come together and keep notes for future incidents or tell the reason this user was disciplined before. 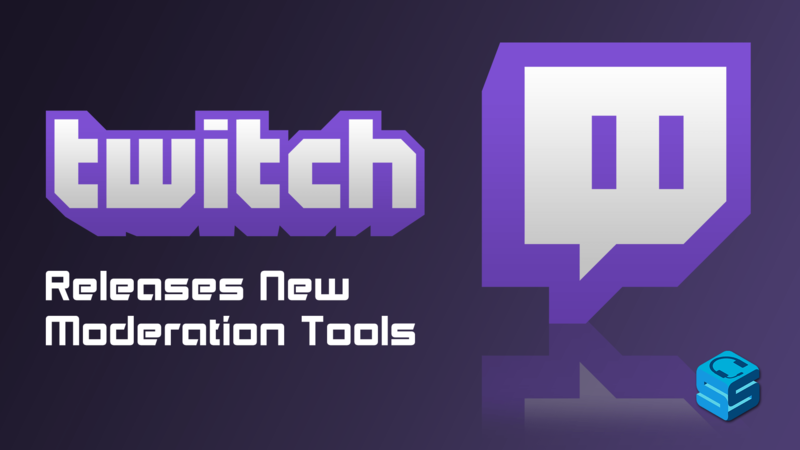 These tools should help keep chat flowing without disturbance and make the job of moderation a little easier. We love you Moderators! Keep being the most amazing people on Twitch!